Thought about a road biking holiday to Morzine? | Summer road cycling holidays in Morzine, French Alps. Bike Hire and chance to see the Tour de France. Thought about a road biking holiday to Morzine? Road biking is a big deal in Morzine. Probably because the lay of the land couldn’t be more suited for this great sport. And probably because Morzine is in easy reach of two of the most challenging peaks in the French Alps! Add a great choice of point to point and loop routes, and no wonder Morzine is as much of a mecca for road cyclists as it is for mountain bikers. That’s not to mention our great selection of summer holiday accommodation in Morzine, giving guests the perfect place to stay on their road cycling holiday. Morzine’s superbly varied road cycling terrain explains why Morzine is a popular choice on the Tour de France route (19th visits in its 113-year history and 4th since 1975). Morzine is a fantastic base for a road cycling holiday. 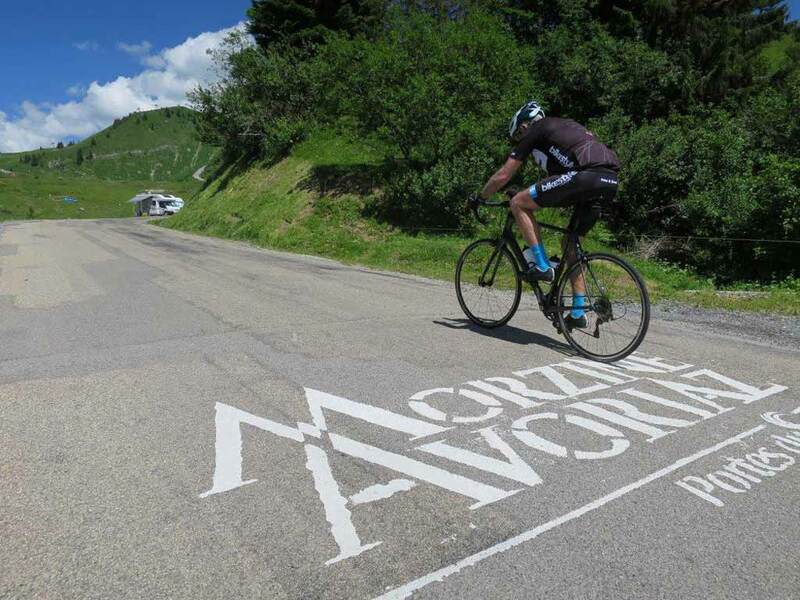 While road biking in Morzine you’ll tackle classic climbs, stupendous summits and terrifying bends, as well as the more rolling country and shorter vertical ascents heading north from Morzine to Lake Geneva. The keen riders in the Simply Morzine team will be happy to advise our guests about the best road cycling routes around the Portes du Soleil to help you get the most from your Morzine road biking holiday. 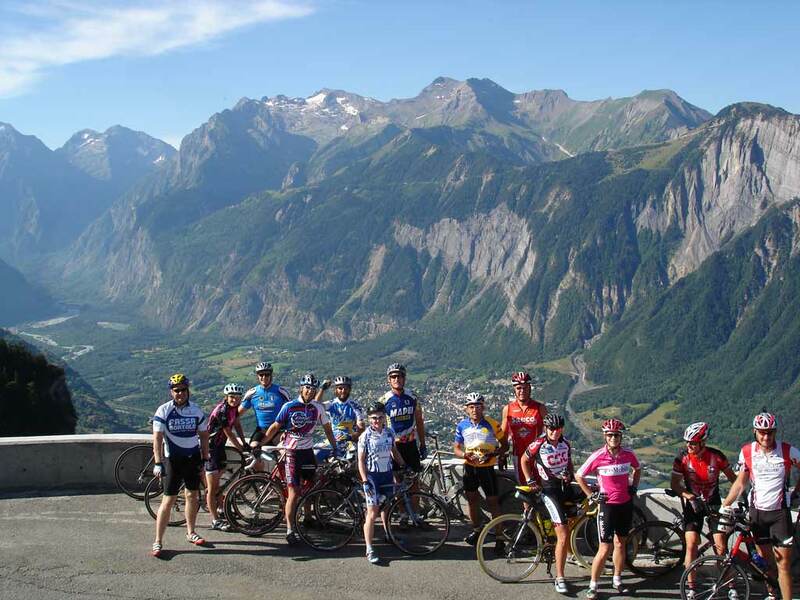 For point to point routes from Morzine to Chamonix or Argentiere, Simply Morzine can arrange road cycling tours, with a minibus to bring you and your bike back to resort. Our fully supported tours include picnic lunch and refreshments en route, a fully qualified bike mechanic on hand, and the Simply Morzine minibus always close by should you need extra clothing or food and drinks. To find out more about a road cycling holiday in Morzine please get in touch. Morzine has all the road cycling support services you need during your road biking holiday. There’s no need to go to the hassle of bringing your own bike as you can hire quality road bikes in resort without any need to pre-book. Cycle hire and accessories shops abound, with skilled technicians to help with minor adjustments or more major repairs. For cyclists who want to challenge themselves against other riders as well as the terrain, Morzine’s Vallee d’Aulps Cyclosportive in late June offers a choice of courses between Morzine and Lac Montriond: the strenuous 160km with 3400m climbing, or the shorter 105 km which still packs in 1900 m of climbing. The Morzine-Avoriaz hill climb run on Bastille Day (14 July) and in August is less daunting at 14km with an 860m climb. L’Etape du Tour takes place each July with a peleton of over 15,000 participants and is now Europe’s benchmark cyclosportive event. L’Étape du Tour is an immense sporting challenge for amateur cyclists which allows competitors to discover some of the most beautiful parts of France in and around Morzine, each summer. The Tour de France comes to Morzine on some years. Most recently, the final competitive stage of the world’s greatest road cycling event finished amid great excitement in Morzine on 23 July 2016. The riders tackled the twin challenges of the Col de Ramaz and Col de Joux Plane before racing the 12km descent to the finish line in the resort. Our Morzine accommodation was so close to the route, keen cyclists and cycling widows/widowers alike were able to watch in comfort from the grandstand new of our terraces!